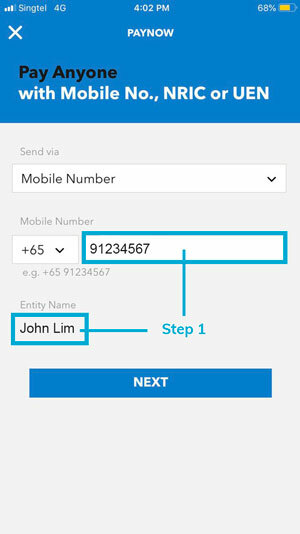 Unable to enter Unique Entity Number (UEN) when using PayNow? 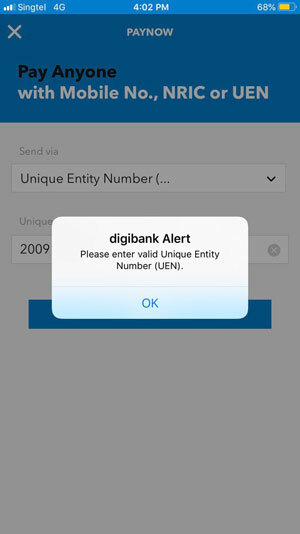 If you have received this error message - "Please enter valid Unique Entity Number (UEN)", here is how you can work around it. Step 2. 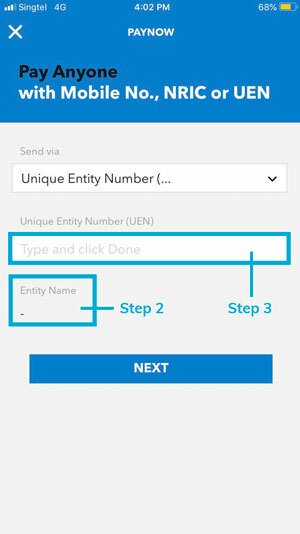 Select the option to send via Unique Entity Number (UEN). You should be able to see the Entity Name with a dash. Upon entering the UEN, you should be able to see VCG PARTNERS PTE. 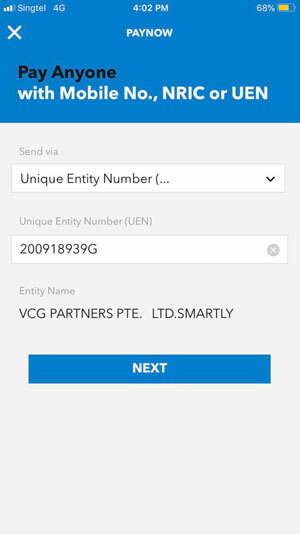 LTD SMARTLY. As of now, this is one of the methods to resolve the issue. We have already informed DBS about this issue, and we apologise for any inconvenience caused.